As we have stated in the past golf literature takes us down many paths. One of those magical, mystery tours is the history of the game. Often, when we think of the history of the game, we are drawn to the players and the tournaments. A quick glance at the history books in our library reveals such titles as The Greatest Game Ever Played by Mark Frost and The Majors by John Feinstein. Both are historical works that focus on the players and the tournaments. But there are many exits off the history highway. And recently a historical volume has been published that approaches the history of the game from a different angle – Golf in America by George B. Kirsch. Kirsch is a professor of history at Manhattan College and the author of several other historical sports book. This present volume focuses directly on the development of the game in the United States from 1888 to the present. If we were to more accurately title this book, it would be The Story of Golf in America for it is a history of the game but not in the sense of name, dates and tournament results. There is biographical information and there is tournament information, but it is woven into the text when it is applicable to the period being discussed. 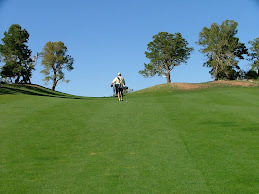 Golf in America is primarily a socio-economic history of golf in the U.S. with the proper infusion of human interest. Kirsch gives us just enough human interest information to peak our interest for further research. It is not the purpose of this book to provide total in depth fact and analysis on the growth of the game we love in the United States. Rather, by reading Golf in America you will come to understand why the game has become so popular despite economic downturns and various forms of segregation. Kirsch helps us to understand how golf survived two major wars and the Great Depression and how it became the game of the business world. The volume is all encompassing of the game including the development of public golf courses, African-American and female involvement in the game. Beginning of page 79 the author provides an excellent six-page expository on the development of golf in the African-American community. Kirsch's chapter on “The Americanization of Golf” is well documented and makes for fascinating reading as he traces the growth of the game at the turn of the 20th century and the reasons for it. We also learn how golf course construction provided vast unemployment relief early in the Great Depression. Despite the fact that this volume barely touches the surface of golf's impact on the American society, there is much to learn from a careful reading. Serious students of the game will also enjoy Kirsch's detailed Bibliography. We highly recommend that any golfer with a sense of history for the game, read Golf in America. my own to see a lot more in regard to this matter.